Holdsworth - History - Shears Inn, Paris Gates, Halifax, West Yorkshire, England. 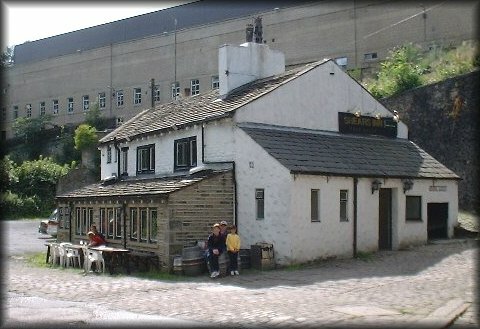 Shears Inn, Paris Gates, Halifax, West Yorkshire, England. The Shears Inn, at Paris Gates, is one of the most famous pubs in Halifax. It is a quaint tavern or inn next to an ancient pack-horse bridge, Boys Bridge over the former canal and the Hebble Brook. It has one of the most unusual approaches in the business, along the cobbled streets in the shadow of Holdsworths Shaw Lodge Mills complex. In the nineteenth century this historic inn was the social spot for workers from the nearby mills. In 1888 it was sold by Clement Holdsworth, owner of John Holdsworth & Co Ltd, along with the New Inn, Holdsworth Street, Lower Shaw Hill, Halifax, which closed in 1908. It lies on the Hebble Trail, a pedestrian and cycle route into Halifax along the course of the Calder Navigation from Salterhebble to Halifax centre. The Hebble runs into the river Calder. From records of the Halifax Crematorium, Ann Hutley Fielding of the Shears Inn, Shaw Hill, died on 18 August 1865 aged 22 years. Her mother and father were Robert and Sarah, suggesting that they ran the pub at that time. Jane Field held the license from 1907 to 1926. It's quite possible that Paris Gates was once called "Parish Gates", and that the name became altered with the pasage of time. The landlord was Raymond Thomas, with his wife Margaret. The landlord from 19/12/1976 until 1990 was Jim Tierney, with his wife Carol. The landlord from 1991 to 2003 was Colin Dyson, with his wife Christine. In October 2003, Kath Hepworth and Dean Scargill took over as licensees. They already had the successful Duke of York in Shelf, and formerly the Black Bull in Brighouse and Heaths in Bull Green, Halifax. 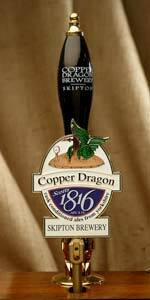 Copper Dragon award winning cask conditioned ales.